If you enjoy a super flavorful and unique fusion taco as much as I do, then this recipe for my General Tso’s chicken tacos is definitely one to try! 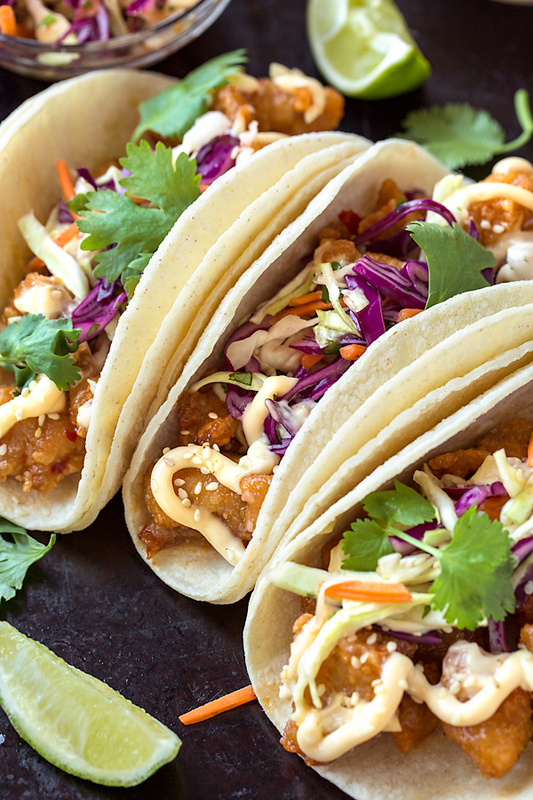 General Tso’s Chicken Tacos, the Perfect Asian Fusion! We absolutely adore tacos in our house—they’re loads of flavor packed perfectly into small packages! Perhaps it’s the fact the we live Southern California and are wonderfully inspired by our local Hispanic cultures, which have a huge influence on our food scene here; but I find myself gravitating towards tacos of some sort at least every four to six weeks as my go-to meal. I’ve shared these SCRUMPTIOUS(!) Baja fish tacos here on the blog, as well as these beef street tacos. I decided to take my love for the sweet-savory flavors of General Tso’s chicken—all golden and crisp, sweet and saucy—and add to that a spicy and crunchy Asian-style slaw, then douse it all with a zesty and creamy (and ever-so-slightly-smoky!) garlic-adobo sauce. 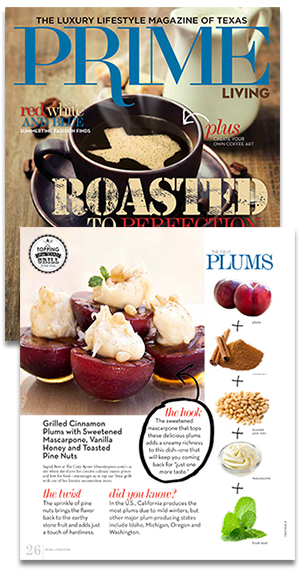 Come to think of it, this recipe sort of reminds me of something we might get from one of our funky local food trucks! So what do you say, have I whet your appetite? 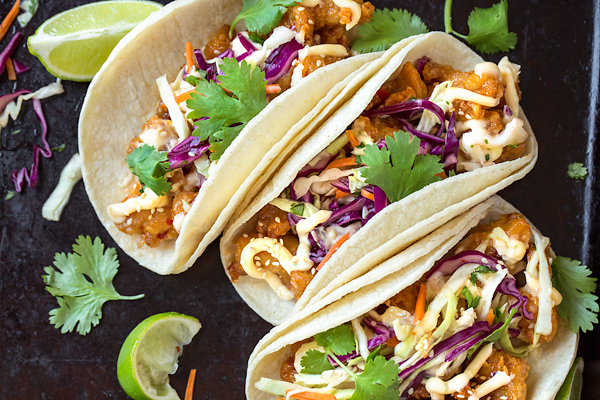 If so, then these Asian fusion General Tso’s chicken tacos are definitely something you’ve got to try! For these tasty tacos, I follow a very basic recipe when it comes to prepping the chicken and frying it up to stuff these tacos with. I like to use chicken thighs cut into small, bite-size pieces for this recipe. I coat them in a whisked egg white and soy sauce mixture, then toss them in a cornstarch and flour mixture before frying them. Once they’re fried, I toss the pieces in a sweet and savory, mildly spicy sauce (which is my own quick, no-cook version of a General Tso’s sauce). I whisk it up using soy sauce, ginger, sesame oil and sweet chili sauce for that nice, glossy look and sweet-tangy-spicy flavor. Because tacos traditionally need some crunchy freshness of course, I add some red and green cabbage to a bowl, along with some shredded carrots and cilantro. I toss those veggies with a simple dressing of sesame oil, soy sauce, red pepper flakes, and hint of that sweet chili sauce to create a slightly spicy dressing—so cool, yet perfectly spicy and delicious! As for the creamy sauce that always gets drizzled over top of things, that’s where I incorporate some south-of-the-border flair. I simply mix together a bit of mayo and some garlic, a touch of lime zest and a tiny touch of adobo sauce (the smoky red sauce that chipotles are packed with), and voila! “Kicky” sauce made! Then all of these zippy ingredients gets stuffed into corn tortillas for bite after bite of bold, delectable flavor. You can taste the Asian fusion with a south-of-the-border kick—the combo is a flavor party! 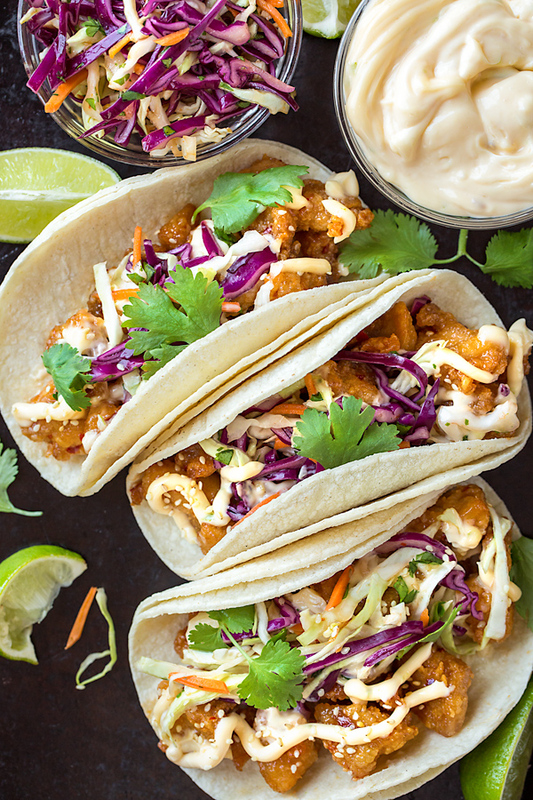 These General Tso’s chicken tacos are definitely something to add to your list of recipes to try! Their my personal (and fun!) 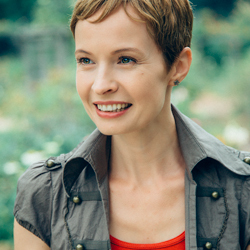 take on what happens when far east meets south-of-the-border! Chicken thighs for juiciness: I use chicken thighs and cut those up into small, bite-size pieces—they’re incredibly juicy and flavorful. However, you can substitute chicken breast if you prefer. Peanut oil for frying: Peanut oil is a great oil to fry the chicken pieces in, as it has a high “smoke point” (can get very hot before burning), and the mild flavor is perfect for this recipe. You can also sub avocado oil, or vegetable oil, if you prefer. Corn tortillas, or flour: For these tacos, I like to use the small, white corn tortillas (I love the Mission brand “super soft” variety); but feel free to use flour tortillas (the fajita-size are good) for these as well. Make ahead: You can easily prep much of the recipe ahead of time. You can coat and fry up the chicken pieces (just don’t coat them in their sweet-tangy sauce until you’re ready to serve) and allow them to cool before putting onto a plate, wrapping in plastic and putting in the fridge. You’d then reheat them in a pan with a little oil the next day. 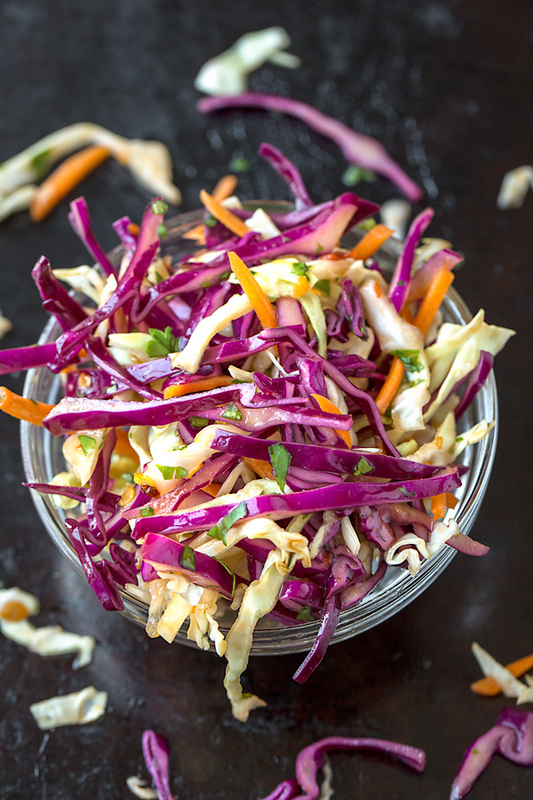 You can also prep your sauces ahead of time, and shred your slaw ingredients as well. Make things spicy: If you like your food a bit more spicy like I do, you can add more red pepper flakes (or even sambal—a great option) to give things a bit more heat. Leftovers: You can keep leftover slaw and sauce in the fridge, and re-heat the chicken pieces in a toaster oven until hot and crisp, and then assemble. 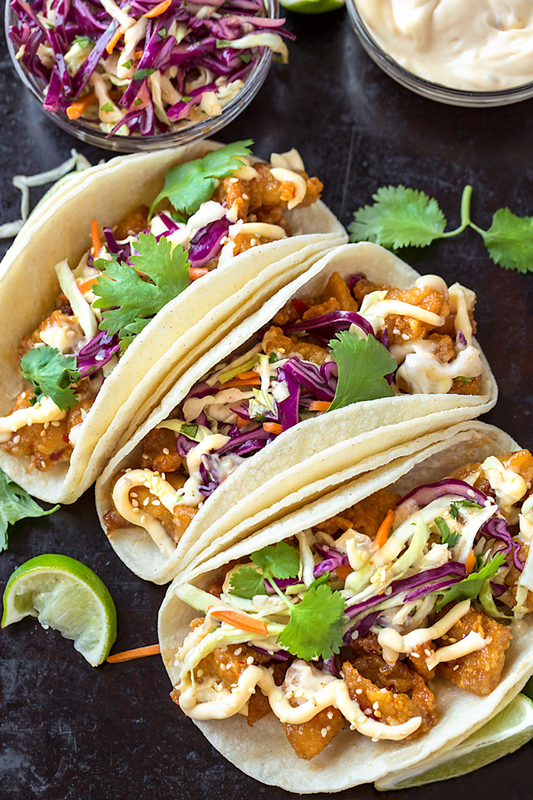 These General Tso’s chicken tacos are a delicious and fun Asian fusion recipe with a south-of-the-border kick! –Begin by adding your bite-size chicken pieces to a medium bowl, and adding in the 2 cloves of pressed garlic, the 2 teaspoons of soy sauce, the 1 teaspoon of grated ginger, the 1/4 teaspoon of salt and the slightly-whisked egg white, and combine; allow the chicken to marinate for 20 minutes. –To a gallon-size ziplock bag, add the flour, cornstarch and baking powder and whisk it around to combine; set aside until you’re ready to coat and fry your chicken. 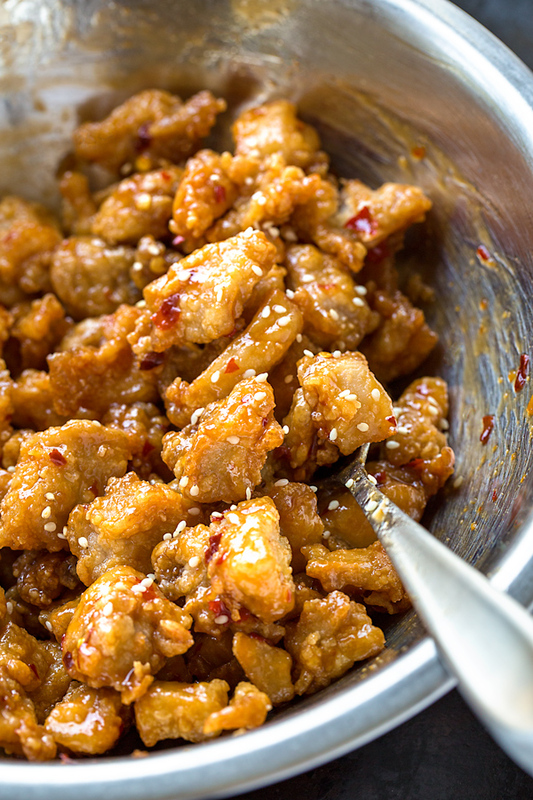 –To make the sauce to glaze your fried chicken pieces: to a small bowl add the 1/4 cup sweet chili sauce, the remaining 2 tablespoons of soy sauce, the 1 teaspoon of sesame oil, and the remaining 1/4 teaspoon of grated ginger, and whisk to combine; set aside until chicken is fried. –While the chicken marinates, prepare your slaw: add the yellow and red cabbage to a bowl, along with the carrot and cilantro, and toss to mix; to make the dressing, in a small bowl whisk together the sweet chili sauce, the soy sauce, the sesame oil, the rice vinegar and the red pepper flakes, and set aside until read to serve. Then, combine the dressing with the slaw. –To fry your chicken: add your peanut oil to a deep pot or skillet (you want it to come up about an 1 1/2” up the sides) and bring to 365°. –While your oil is heating, add your marinated chicken pieces to the ziplock bag with the flour/cornstarch/baking powder mixture, and shake it very well to coat the pieces thoroughly; remove the pieces and put them on a plate. –Working in batches (I worked in two batches), carefully add the chicken pieces to the hot oil and fry them for 2 1/2 – 3 minutes, then remove and place on a wire rack to drain. (Note that the pieces will only be a very pale golden color, but that is OK; the cornstarch doesn’t get very dark, however the chicken will indeed be cooked through.) Repeat with the rest of the chicken. –Add the fried chicken pieces to small bowl, drizzle over the sauce, and toss to coat until glossy. –To assemble the tacos, take two warm corn tortillas, and add about 1/4 cup of the chicken, followed by a generous drizzle of the garlic-adobo sauce, followed by the dressed spicy slaw; sprinkle over cilantro and serve with lime, if desired!